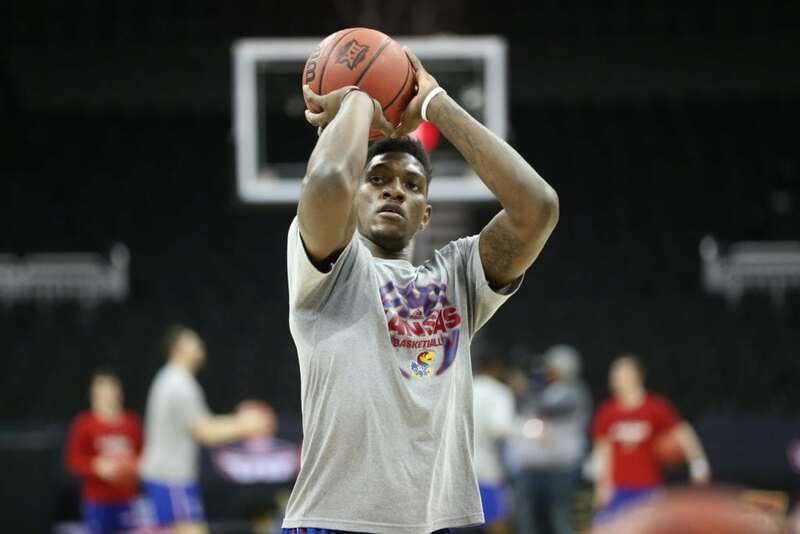 Kansas forward Silvio De Sousa (22) puts up a shot during a shoot around on Wednesday, March 7, 2018 at Sprint Center in Kansas City, Mo. According to reports from the Associated Press report and other media outlets, De Sousa’s name has surfaced in connection with a set of subpoenas sent to the University of Maryland in connection with the FBI investigation into corruption in college basketball. 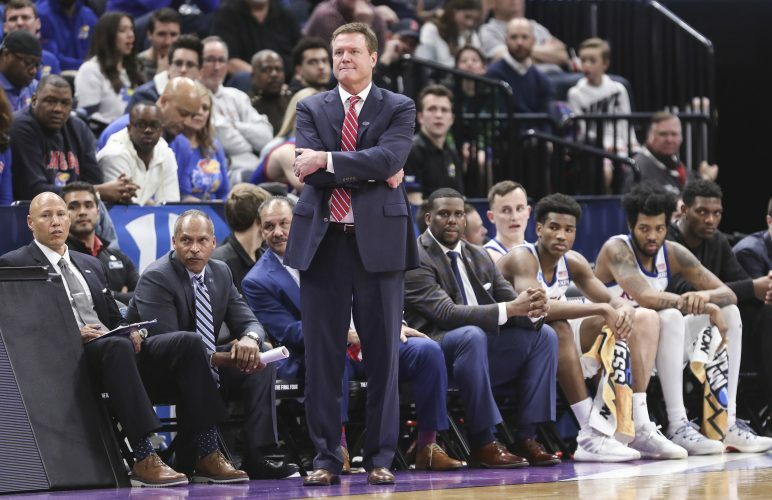 Maryland, an Under Armour school, was in the running for De Sousa’s services, but the Angola native chose Kansas, an Adidas school, in late August of 2017, announcing his commitment in an interview with the Journal-World. According to reports, the subpoena sent to Maryland on June 29, 2018, requested information on, “the recruitment, eligibility and/or amateur status” of De Sousa. Friday’s report, which indicated that Maryland received two separate subpoena requests — one on March 15 and the other in late June — marked the first time De Sousa’s name had actually been connected to the investigation, but did not mention any wrongdoing on the part of Maryland, De Sousa or his guardian, only that Maryland had been contacted by federal investigators requesting all documents and communication between Maryland assistant coach Orlando Ranson and De Sousa. 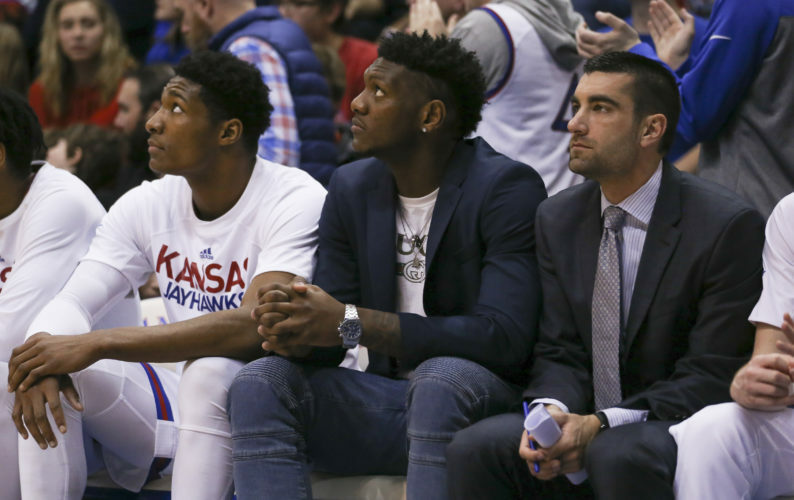 Although De Sousa was not named in a superseding federal indictment filed in April that alleged improper payment by Adidas to a parent of one former Kansas player — now believed to be Billy Preston — and the guardian of another, the date of his commitment, which was written in the indictment, seemed to connect De Sousa to the investigation. At the time, De Sousa’s guardian, Fenny Falmagne, was adamant that neither he nor the 6-foot-9, 245-pound forward from IMG Academy in Bradenton, Fla., had done anything wrong. And in the weeks since, De Sousa and Self have said on multiple occasions that they were confident De Sousa would be eligible to play during the 2018-19 season. 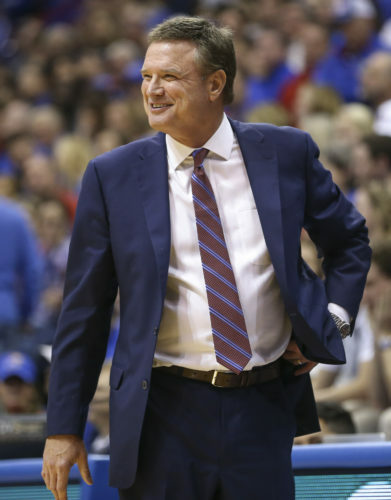 “I haven’t heard one thing to the contrary with any of our guys,” Self said during a news conference last month. n late June, during a break at Washburn basketball camp in Topeka, De Sousa briefly addressed his status during an interview with reporters. Friday’s news is merely the latest in the ongoing investigation that first became public last September, when federal prosecutors announced the charges against 10 men — including assistant coaches at Arizona, Auburn, USC and Oklahoma State along with a top Adidas executive — in a fraud and bribery scandal. The case involves hundreds of thousands of dollars in alleged bribes and kickbacks designed to influence recruits on choosing a school, agent or apparel company. 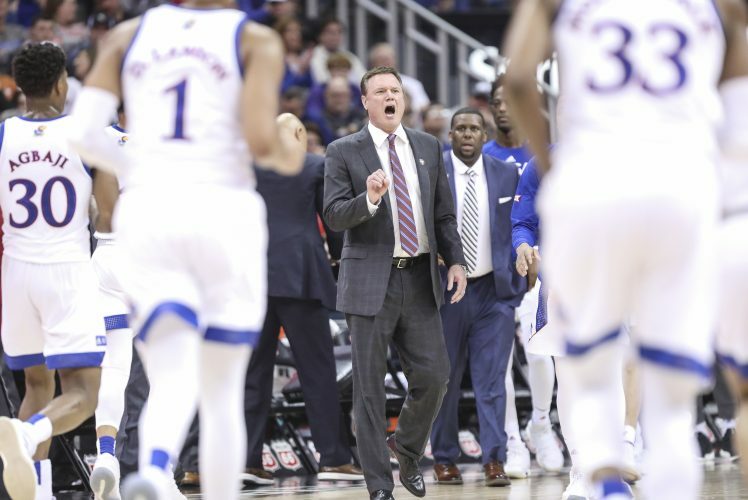 It has entangled schools such as N.C. State, Kansas, Louisville and Miami, among others, though prosecutors withdrew a criminal complaint in February against one of the defendants. The fallout included the ouster of Louisville’s Hall of Fame head coach Rick Pitino — who was not charged criminally — while top Cardinals recruit Brian Bowen transferred to South Carolina but was never cleared to play. Bowen ultimately declared for the NBA draft but went undrafted.